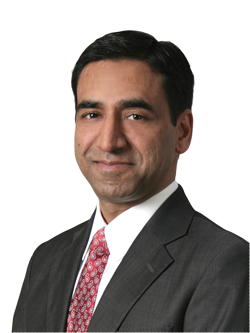 Rohit Gupta is the President and CEO for Genworth’s U.S. Mortgage Insurance Business. He was appointed to the Genworth MI Canada Board in June 2016. He served as chairman and remains a Board member of the U.S. Mortgage Insurers trade association. Rohit also serves as a Board member of the Genworth Foundation Board, American Cancer Society Triangle Leadership Council and Pratham USA. Prior to being named CEO, Rohit held the positions of Chief Commercial Officer & SVP, Intelligence and Strategy, as well as VP, Commercial Operations in Genworth’s U.S. Mortgage Insurance business. Rohit began his career with FedEx in Strategic Marketing in 1998 and joined GE Capital in 2003, holding various Marketing and Commercial roles from 2003 to 2007. He holds an MBA in Finance from University of Illinois at Urbana Champaign and an under-graduate degree in Computer Science & Technology from Indian Institute of Technology.